USB RetroPad Adapter also comes with handy screw terminal connectors, allowing you to hook up a homemade arcade control to it and and use it to play your favorite games on your PC or PS3! 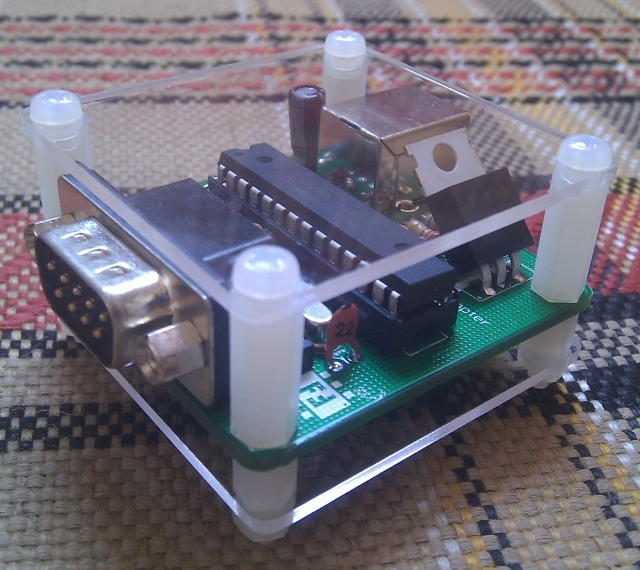 USB RetroPad Adapter comes in a nice acrylic case. This small case is the main module and it has an USB connector to be plugged to your computer or PS3 and a DB9 connector. The main module, as is, is compatible with Sega Genesis/MegaDrive, Sega Master System and Atari 2600 (other DB9 connector joysticks may also work, but they are untested): you just plug the DB9 based joystick to the main module! So, for example, if you want to play only with a Sega Genesis, Master System or Atari controller, the only thing you need is the main module, but if you want also play with a SNES controller, you should also get a SNES controller extension cable! 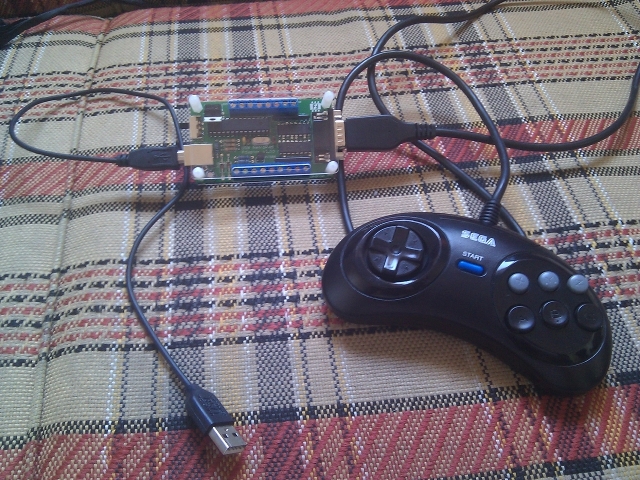 As of July, 1st 2012, the USB RetroPad Adapter has now a DFU mode! That means that you'll be able to update the firmware of your adapter in a very easy way, without the need of any extra hardware, such as an AVR Programmer! In order to put your adapter in DFU mode so you can upgrade its firmware, you'll need a Sega Genesis or a Sega Master System pad. If you don't have any of these, you can build a "DFU dongle" using a female DB9 connector and shorting pins 4, 8 and 9 with wires and solder. If you get an error message when trying to run HIDBootFlash, you might need to install the MS VC++ Runtime 2005 bundle. You can see that the device was correctly detected from the text "HIDBoot detected" below the "Find Device" button. 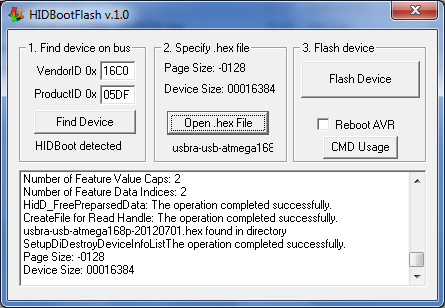 After you've downloaded the appropriate firmware file, click the "Open .hex file" button, select the firmware file and then, finally, click the "Flash Device" button. Wait for the process to finish and, voilá, your firmware has been updated! 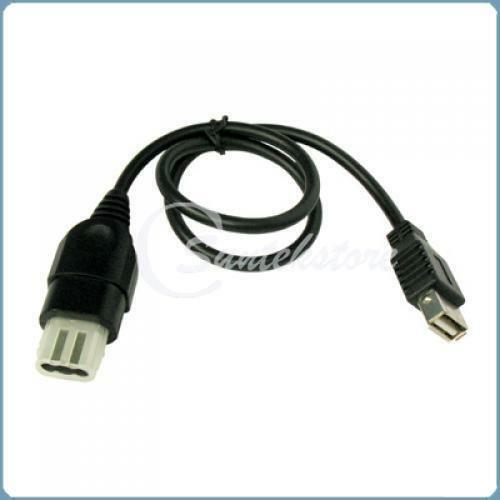 Disconnect the USB cable and the "DFU dongle", if you have used one. When you plug your adapter on the USB, it will be already running the firmware you has just burned! For Linux and Mac users, you can download the source code of a commandline client here. Make sure you have all the required libraries installed on your system (libusb, etc...), enter the "commandline" source directory and type "make". Despite the fact the project is Free and Open, and everyone is invited to get the schematics and source code, there are people who don't want (or don't know how) to mess with PCBs, soldering and electronic components. For people like that, I have some ready-to-use adapters for sell, so if you are interested, you can visit http://shop.brunofreitas.com/! The User Manual for the USB RetroPad Adapter for PC/Mac/PS3 can be downloaded HERE. The User Manual for the USB RetroPad Adapter for XBOX can be downloaded HERE. 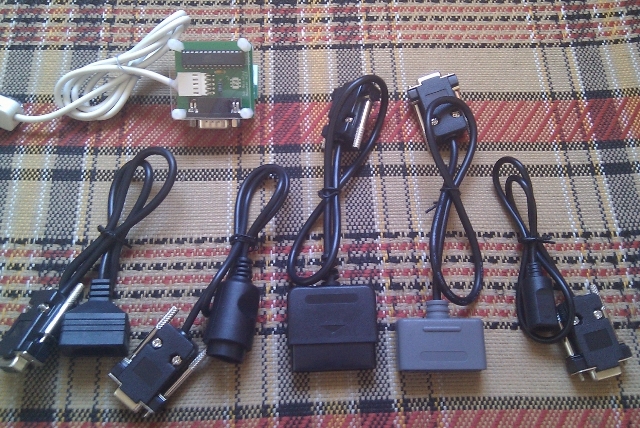 USB RetroPad Adapter by Bruno Freitas is licensed under a Creative Commons Attribution-ShareAlike 3.0 Unported License.